Kerry's Quilting: Around the World Blog Hop! I live in beautiful San Diego, where today we are having a heat wave- over 100 degrees! I have been sewing/quilting for almost 40 years, ( hard to believe!) and I have made well over 100 quilts. 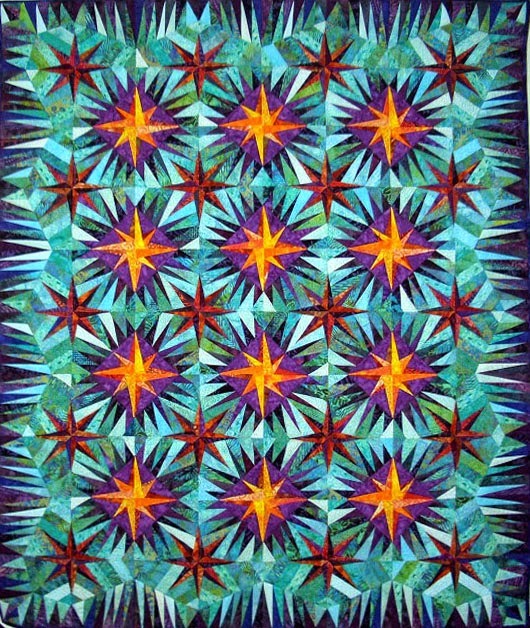 You can see many of them at Kerry's Quilting on Pinterest. 1.What am I currently working on? I have over 30 projects waiting to be completed, so for the last couple of years I have joined in with Aunt Marty over at 52 Quilts, for her UFO Challenge. So each month I am working on trying to get a UFO finished. If I complete 12 a year it will only take me 2 1/2 years to complete! Of coursed this is assuming that I don't add any more projects. :) Currently I am working on a Bonnie Hunter Quilt called Pfeffernuse. Mine will be more pink and brown (leftovers from the Dear Jane Quilt) than red. 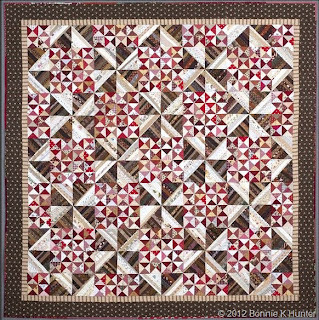 My current favorite quilt designs are scrappy, so I have become a fan of Bonnie Hunter's Patterns and have made quite a few of them. I am usually working on a couple or projects at once, so here are a few more below. Hand appliqued blocks's for "A Different Path Quilt"
I have recently tried my hand at applique and have found that I can do it! It was not one of my favorite methods in the past, but has now become a great tool to have in my quilting tool box. Also a great take along project for those car trips that we go on a couple times a year. 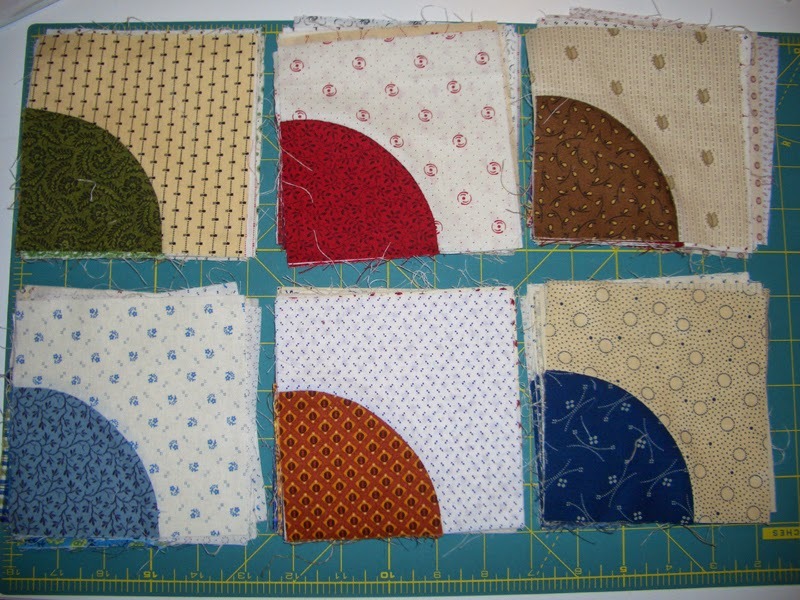 Yes, I am making another Dear Jane Quilt!! I know- I am crazy, but I LOVE making those cute little 4 1/2 inch blocks. This one will have all the triangles. 2. How does my work differ from others? Not sure how to answer this one. While I use many patterns from different designers, I almost always try to put a little spin on it by either using a different color pallete, changing up the blocks, or a different border treatment. My favorite color is red and it shows up in many of my quilts. 3. Why do I create? I love the whole process of quilting, from picking out the pattern, to fabric/color selection, to piecing the top together, all the way through the process of finishing a quilt. ( I also have a longarm to finish all those quilts!) I find it challenging and relaxing all at once. I also love the geometry of quilting-it was one of my favorite subjects in school. 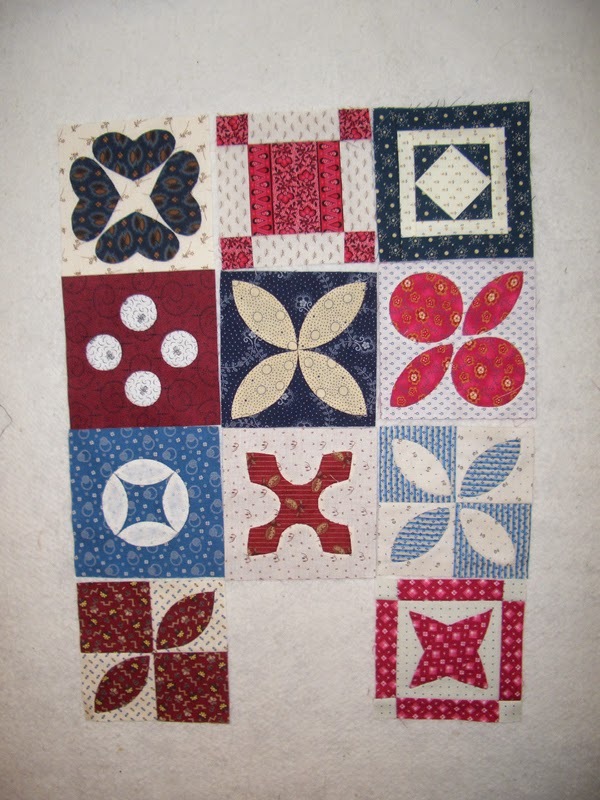 So traditional piecing and more traditional patterns are my favorite, although I am also a big fan of Judy Niemeyer's patterns. 4. How does my creative process work? No suprises here! I start with a pattern, from a book, magazine, or any other source, sometimes it might be a fabric, and then see where it takes me. Sometimes it is something specific for someone special. Other times it is just the challenge or complexity of a particular pattern. Or it might be a design to use my stash. Now on to a couple of Bloggers that I would like you to meet! They will be posting on 9/22/14 so make sure you head over and check them out. First off is Sandi over at Kwiltnkats. I have known Sandi for over 10 years and she is my closest friend. She is an award wining quilter, who makes amazing quilts, and sews very fast- it is not unusual for her to make 30 quilts a year. She also is great with color. Check out this beauty! Next up is my sister Lynne, over at Da's Crochet Connection. I thought I would change things up a bit and showcase an awesome crocheter. Lynne does turn out a couple of quilts a year, but her current passion is crocheting. I love her granny squares! 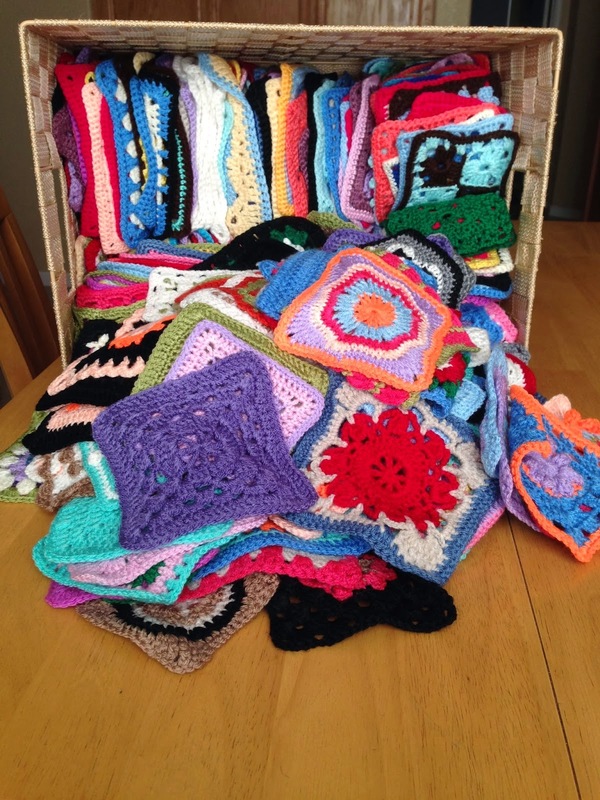 Visit her blog to find out what she did with the 356 Granny Squares she made last year. Thanks for visiting and make sure you check out all the other bloggers in the Around the World Blog Hop! Thanks Kerry! Enjoyed reading all about you and your quilting. You are one talented seamstress. Great job on your blog, Very interesting and so knowledgeable.